The community is invited to come join area first responders to help save lives! Just one pint can save up to three lives! We will be holding a blood drive at Station 3 on Friday, June 22. Please join us at 407 Hubbard Street in Blacksburg to show your support. The drive will be held from 12pm to 6pm. Donors are encouraged to sign up online or via phone. 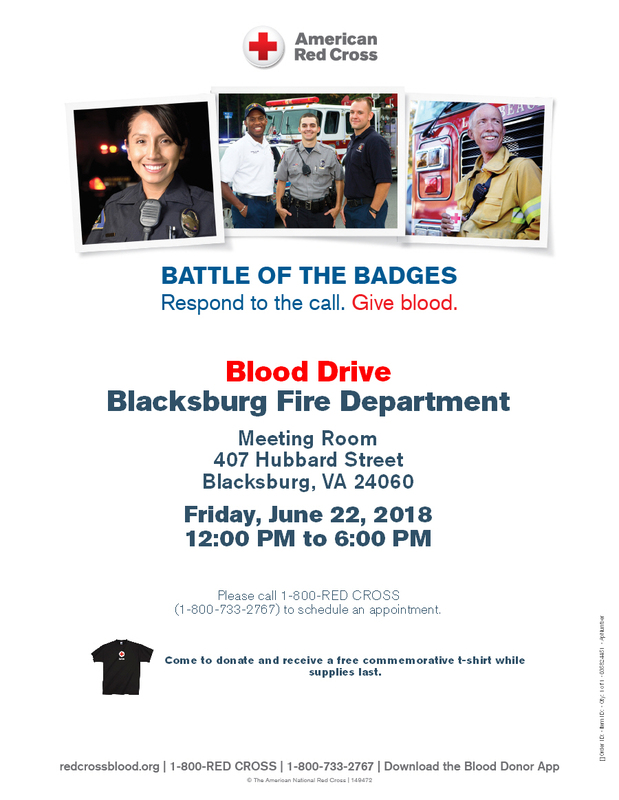 Please visit redcrossblood.org or call 1-800-RED-CROSS to schedule an appointment, and tell them you are there to support the fire department! All donors will receive a tshirt for participating.